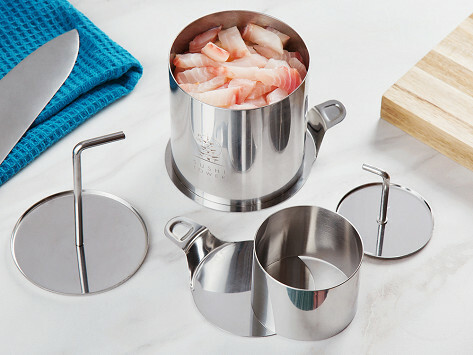 Making sushi and other beautifully presented meals at home is as easy as stacking. This kit’s stainless steel instruments help you create restaurant-grade plates. Your sushi will have a vertical flair and even ordinary meals like mac and cheese will look extra professional. Dimensions: 9.5" x 4.75" x 6"
Well made, but not for every day use. This device is well made and does it’s job well. I just don’t stack my food on a daily basis, so I use this more for special culinary presentations. 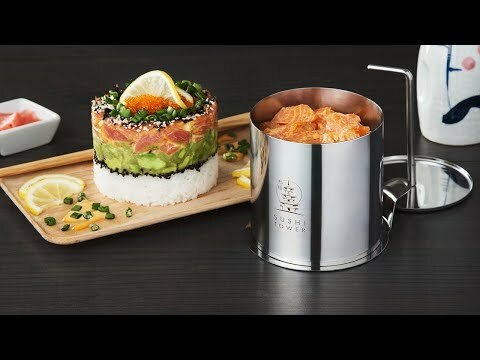 Whether you’re entertaining a crowd, cooking for a date, or just want to enhance your plating skills, Sushi Tower makes it easy to look like a pro.